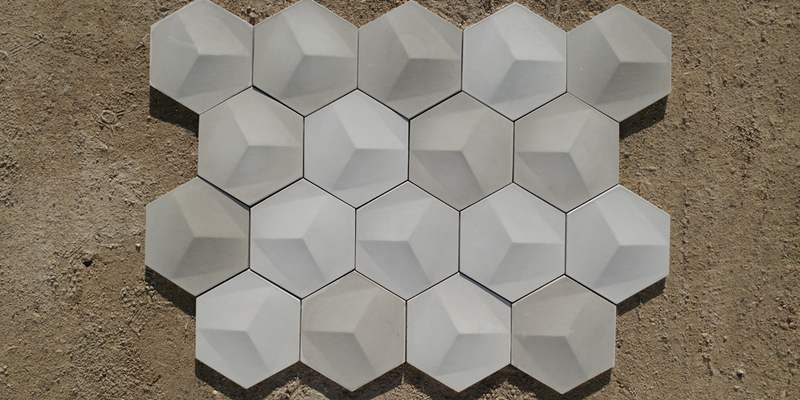 The Subtilis tile produces a 3-dimensional hexagon tile with a subtle raised central pyramid. This unique design creates shadow on the surface, revealing infinite pattern variations. It is suited for vertical applications, such as accent walls and backsplashes.